Christopher Nolan wrote and directed Inception after a decade-long struggle to get his story on screen. Given the box office and critical response, his struggle was well worth the effort. 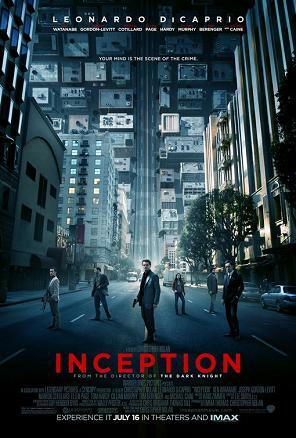 Inception isn’t perfect, but it’s a good example of a fresh science fiction concept turned into an entertaining film. In Inception, humanity has a means of viewing and extracting a person’s dreams. A business tycoon hires expert dream thief Dom Cobb (Leondardo DiCaprio) to implant an idea into a rival businessman’s mind. This proves more difficult because the subject must believe that the idea is truly his or her own. Cobb recruits a team of “dreamers” and misfits for the mission. However, soon Cobb risks losing his grip on reality as he venture deeper into the dreams and memories from his past. I just saw Christopher Nolan’s Interstellar last night. I’d like to watch it again before writing a full review because there is a lot to absorb. In short, I enjoyed it quite a bit. It doesn’t replace Contact as my favorite hard science fiction film, but I have a lot of respect for what the movie does. It’s probably the first and only time Einstein’s theory of relativity has been central to the plot of a major Hollywood movie. Even more impressive, Interstellar has made a lot of money ($635 million as of late December 2014). Hollywood take note: smart science fiction sells.